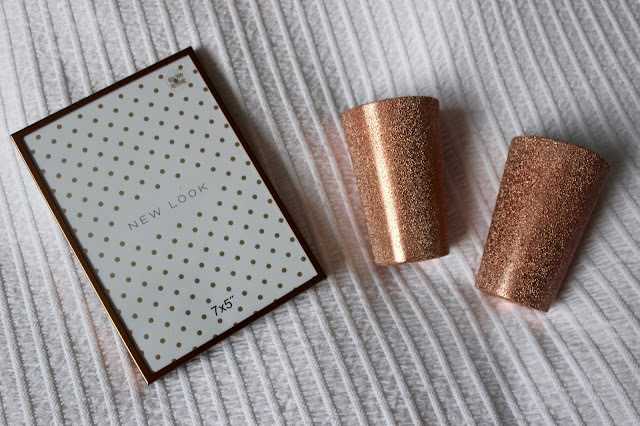 Being obsessed with buying homeware I couldn't resist this collection of copper pieces from New Look in their sale. Although I currently have silver through out my bedroom I have eculmiated a large collection of copper items. Firstly I picked up this adorable copper photo frame for £6.99 which I think is a bargain I love that it's simple and quite skinny which I like, it will go perfectly with the rest of my pieces. 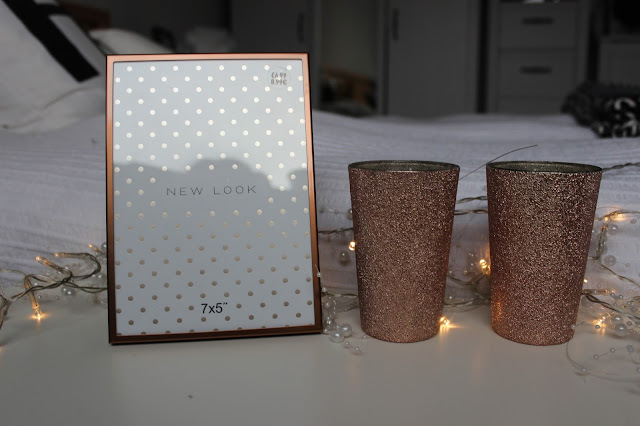 I also picked up these rose gold candle which I honestly love! They were only £3 which I think is AMAZING! I'll definitely be using these are makeup brush holders after they have finished! Before picking up these pieces I hadn't really looked that much at New Look's home range but I definitely will be from now on!